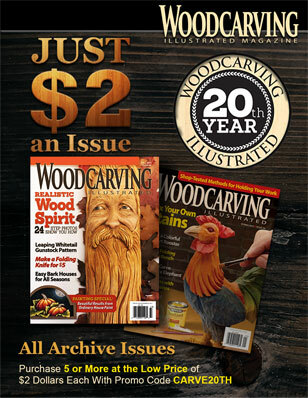 This article was first published in issue 59 of Woodcarving Illustrated. All chip carvers seek a strong, clear finish that does not interfere with the reflection of light in the clean facets of their cuts. Many achieve this with spray lacquer, but I don’t like the fumes, messy overspray, and drips of lacquer. So, I use shellac. Shellac is a natural product made from the secretions of the lac insect. 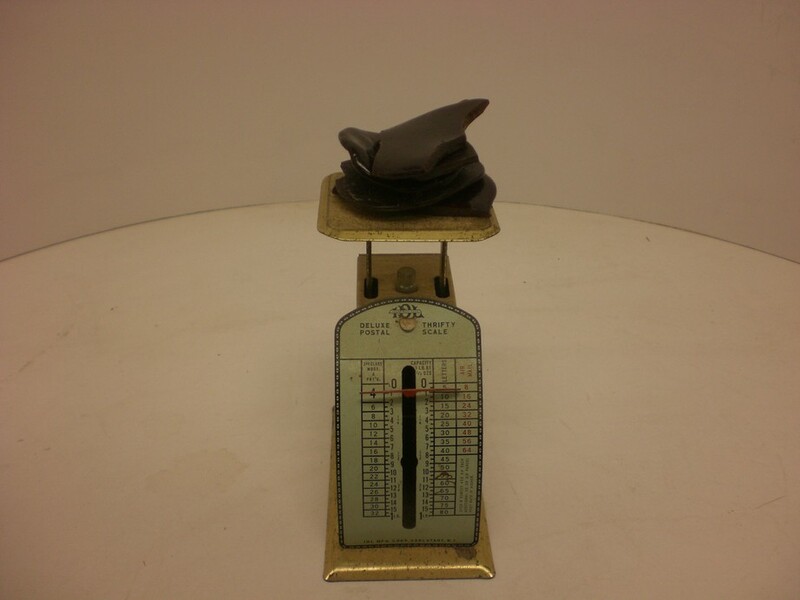 The original plastic, shellac was once used for many products, including pre-1950 records. 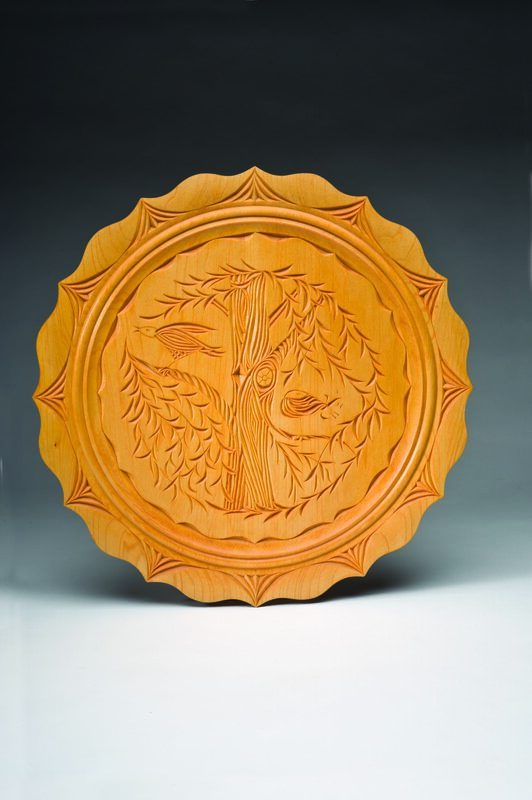 It creates an outstanding finish and, for small items like most chip carvings, it is easy to apply with just a brush. Shellac is non-toxic and even edible—it is sprayed on apples to preserve freshness and make them shine—but it is usually dissolved in poisonous denatured alcohol. 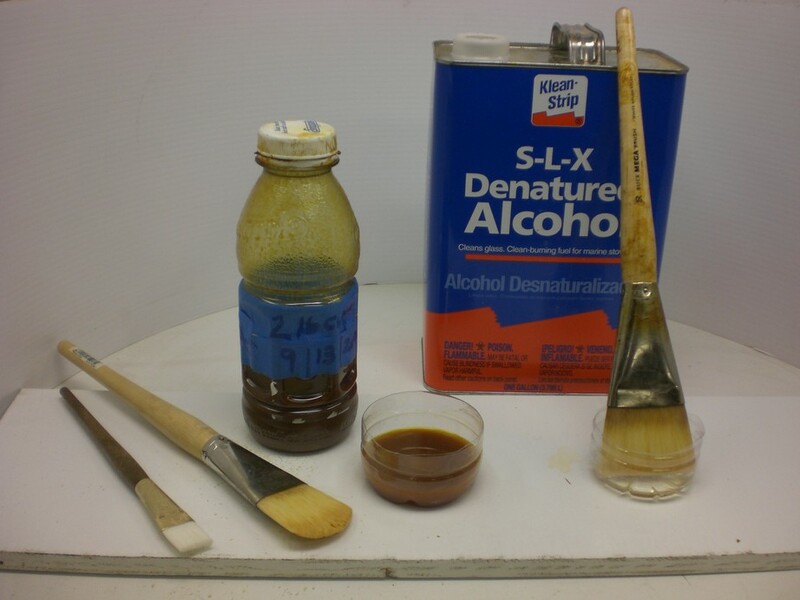 If you plan to use shellac as a food-safe finish, dilute it with pure ethanol (grain alcohol). For success with shellac, follow a few simple rules and techniques. Shellac is not waterproof or alcohol-proof, so it isn’t a good finish for kitchen tables or bars, and it should not be used as an exterior finish. Otherwise, it provides a strong and hard coating that will protect delicate ridges well. Different types of shellac create different effects. From back to front: seedlac, buttonlac, garnet, and blonde. 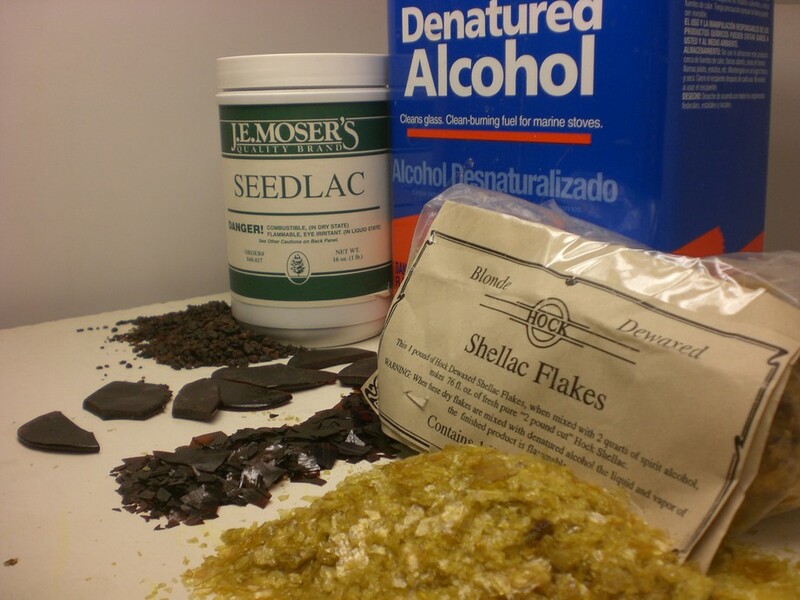 Shellac is available premixed or as dry flakes. I prefer flakes because canned shellac has two drawbacks: it has a six-month shelf life after you open the can, and it comes in a limited variety of colors. Shellac flakes last a long time because you can make the size batch you need for each project. Flakes are also available in a wider variety of colors—clear blonde, darker garnet, and the deep brown tones of buttonlac and seedlac. Blonde shellac creates a nearly transparent finish. De-waxed blonde shellac provides a nearly transparent finish. The shellac is de-waxed so it provides less protection than shellac with wax in it. You can apply an oil finish or oil varnish over de-waxed shellac and it is especially good for sealing wood before the application of an oil stain to prevent blotching. The wax in buttonlac shellac provides protection to the wood. Buttonlac shellac contains wax, so it isn’t a good sealer for wood because it’s not compatible with oil stains. But, the wax provides more protection to the wood, which is why I use it as the final top coat or as a one-step finish for carvings. I like the look the wax gives the carvings. In shellac, the colorant is dissolved in the finish which sits on the top of the wood, so shellac provides a transparent color that doesn’t blotch or interfere with the light reflecting off the facets. 1 pint (.5 l) of denatured alcohol. 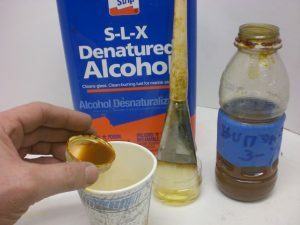 Let the shellac dissolve in the alcohol, shaking it vigorously. Waxed shellacs, such as buttonlac, take longer to dissolve than de-waxed shellac. This mixture is a 2-pound cut. To use the shellac, I mix a small amount, perhaps a capful, of shellac with an equal amount of denatured alcohol to create a 1-pound cut. If you decide to use canned shellac, which is usually a 3-pound cut, thin one part shellac with two parts denatured alcohol. Use a scale to weigh dry shellac. 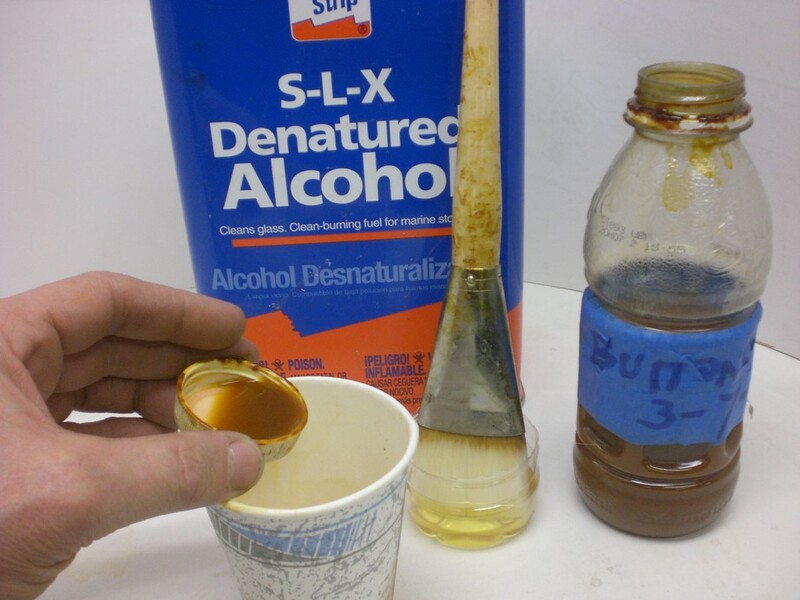 Dissolve the shellac in denatured alcohol. Use good brushes to get a smooth finish. Artist-quality Taklon brushes are essential to achieve an ultra-smooth finish with shellac. 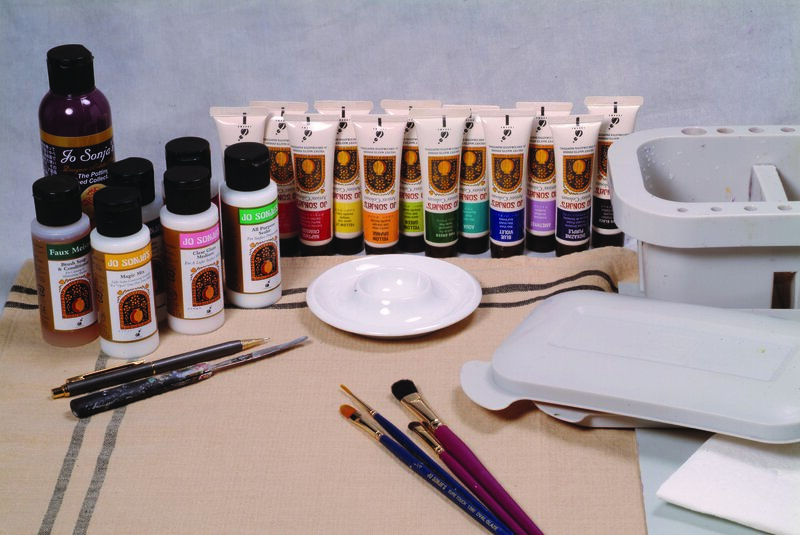 It’s safe to invest in the brushes because they will last for many projects. Furniture restorers love shellac because it is easily repaired. This is because additional layers of shellac don’t just sit on top of one another; the new coat of shellac partially dissolves the old one and creates a new bond. This means you never need to clean brushes. After applying the finish, just let the shellac dry on the brush. 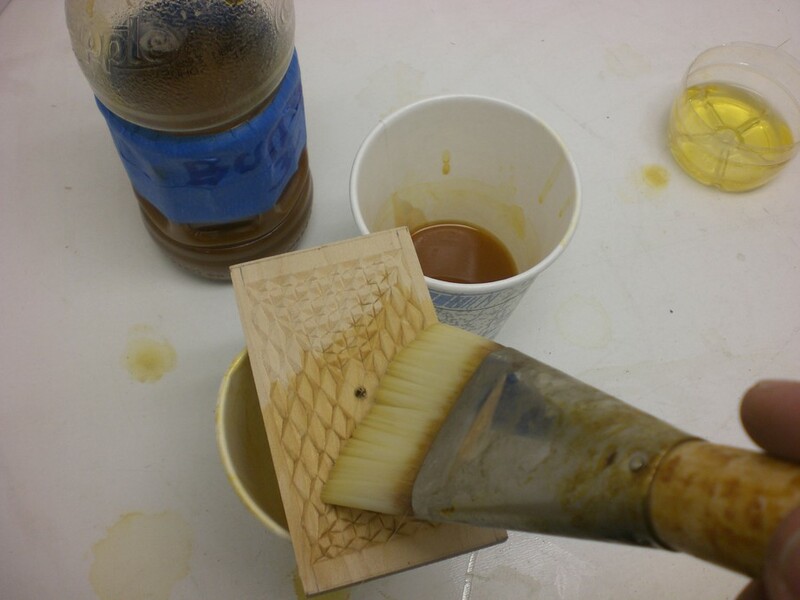 Then, before using it, soak the brush in denatured alcohol until it is clean, pliable, and ready to use. Shellac is easy to apply and dries quickly. Dip the brush in the thinned shellac. Quickly brush the shellac from the center out to the edges. Apply a light coat, and stop when the brush begins to drag. Allow the shellac to dry for five minutes, and then apply another coat. I apply up to three coats before allowing the finish to dry overnight. Shellac dries dust-proof in minutes so, unlike with oil finishes, airborne dust is not a problem. You can build up as many coats as you want; in French polishing, you apply enough layers to polish the finish rather than the wood. 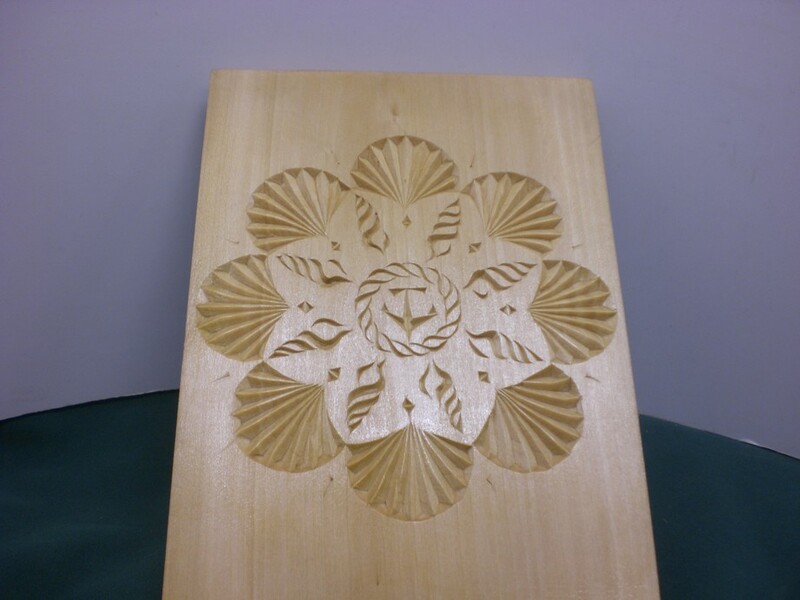 For chip carving, I apply six to nine coats. I finished the Ravens of Odin plaque with a traditional three-part finish of oil, shellac, and wax. First, brush on a coat of boiled linseed oil, wipe off the excess using another clean, dry brush, and set it aside to dry for two weeks. The boiled linseed oil adds a yellow tone and enhances the wood grain so much that it competes for attention with the chip carving. The oil also adds a beautiful depth to the wood. Next, brush on buttonlac shellac to darken the carving and even out the color, subduing the wood grain while allowing the depth of the oil to shine through. Apply three quick coats on two consecutive days for a total of six coats of shellac. It is not necessary to build a thick coat of shellac because we are not going to polish the shellac to a high-gloss finish. A high-gloss finish interferes with the reflection of light off the carved surfaces, so I do not use or recommend it. Buff the carving lightly to give it a low-gloss finish. 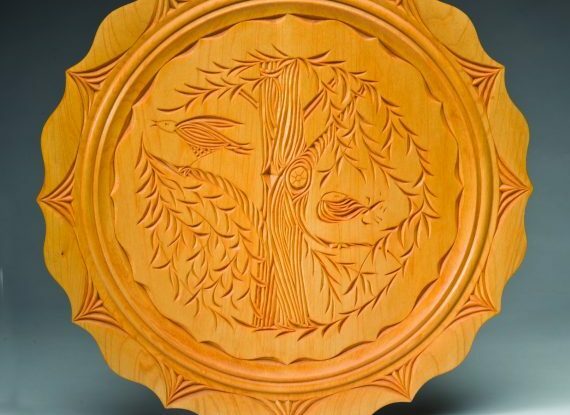 Because even the finest steel wool catches on chip carvings, use a shoe brush to buff the carving. Finally, brush on some paste wax and buff it with the shoe brush to produce a soft satin sheen. 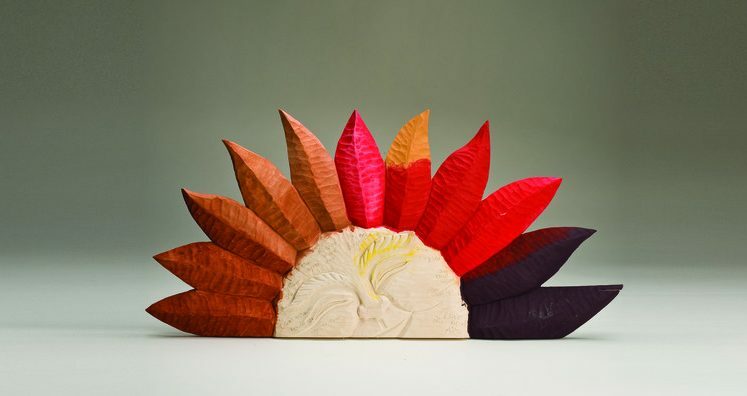 David Stewart lives in Brooklyn, N.Y., and thinks finishing is as much fun as chip carving. 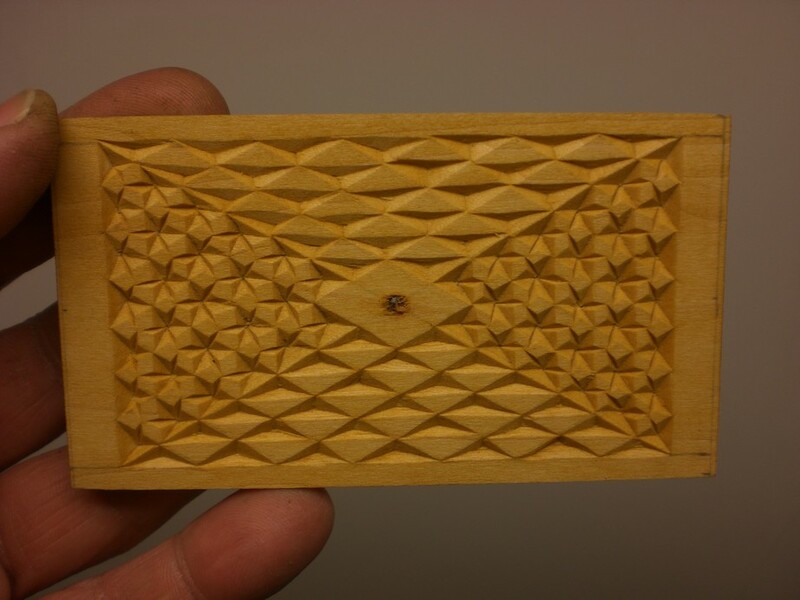 Discuss this material on the Woodcarving Illustrated forums. Read more about finishing for beginners! 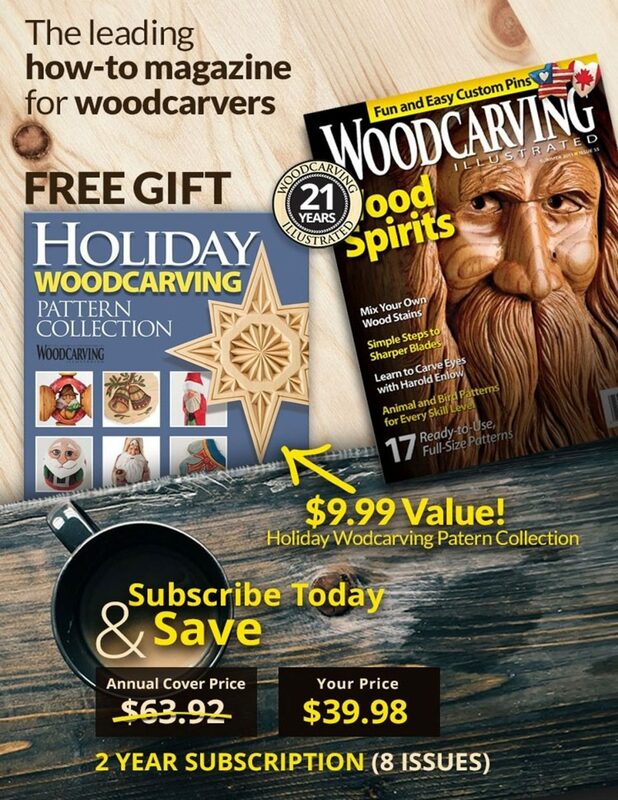 Click here to sign up for the latest enews and information updates from Woodcarving Illustrated. 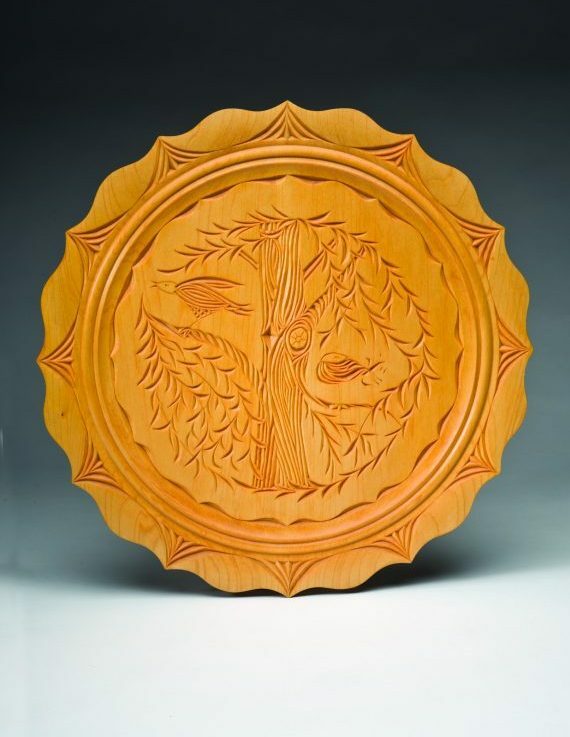 Copyright © 2019 Woodcarving Illustrated. All Rights Reserved.